First, thanks for the hard and wonderful work ! I'm a slideshow user (that little buddy : ) and I have images and gifs in my folders, that I'd like to have in the same "fast" slideshow. The issue I have is that if I indeed want it fast, it will also be applied to gifs which ruins it a bit since they'll cut before the end. If I set enough time for gifs to play, then photos take too long (and it's quite random for gifs to play til the end or not). Thanks so much for your work !! It doesn't work on 2.47?? could you send me gif sample to reproduce the problem? 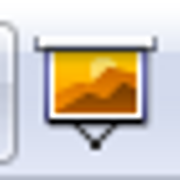 Then added it to a "Test" folder with two pictures (any jpg/png/... you got), and started Xnview. I browsed to the parent folder then selected my Test folder and did this : then validated with the settings from my previous post and the gif didn' tplay until the end when it was its turn. Oh, and by the way, another little issue, I just realized while testing various file formats that you can launch on a movie file and it works, but not on a folder that only contains movies. And in the same idea, if a folder contains pictures and movies, movies won't be included in the slideshow, whereas if you select only the movies, there will be a slideshow. Maybe it could be worth haivng an option like "include movies" to the slideshow options.